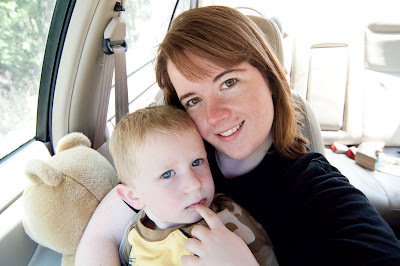 Pictures from our Wildlife Safari Adventures a few weeks back. We went on a really cool "safari" a few weeks ago (a mere two hours from where we live) because Bookworm1 had been expressing enormous interest in elephants and rhinos. (Pardon the pun there, folks.) As a result of going on that trip, he has wanted to learn more about these rather large animals. Making as much use out of the library as we possibly could (in a quick trip) we found the following books. One of the cool things Jonathan took us to on this safari was an elephant feeding time. 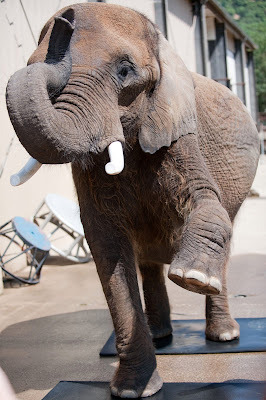 Not only did you get to FEED an elephant but you also got to watch it play basketball and PAINT! (One lady asked what the elephants liked to paint. In case you too are wondering what preferences elephants display when a paintbrush is in hand trunk, let me just assure you that the art is very abstract in nature. Ah hem.) It was pretty cool to be that close to an elephant, although I can't say that having elephant drool all over my hand after giving her a piece of sweet potato was all that appealing. Nevertheless, it 'twas a cool experience. Therefore our favorite book in the library stack is African Elephant: The World's Biggest Land Mammal (and I must say I'm more than a little shocked at the Amazon price! Yowee.)! This particular book sticks to elephant facts. (For example: The African elephant can weight as much as THREE white rhinoceroses.) We learned about how many teeth elephant have and what they do with their tusks. The sentences in this book are simple and straight forward, making it easy for our almost 3 year old to comprehend. He loves reading this book while clutching his little toy elephant and talking about the one that we saw in person. I had a much harder time finding a good book about rhinos. If you have any suggestions, let me know. The only one that I did find talked about how they've been roaming the planet for 60 million years, etc., and being that we're creationists I wasn't much fond of that book. I skipped quite a few pages in it so I'm up for suggestions! We did get to see two rhinoceroses on our safari but they were at some distance from us. Perhaps that was a good thing. Heh. It was a fun trip and if you are ever in Winston, Oregon, I highly recommend that you go visit the Wildlife Safari. (That's pretty much all there is to do in Winston from what I saw so I doubt you'll just find yourself there without some planning.) 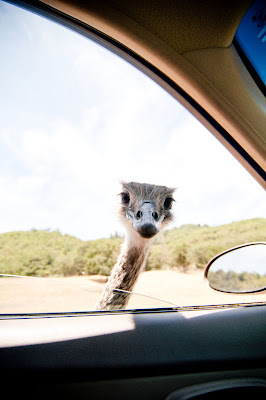 A fun way to see some exotic animals and we had a blast! What an experience! 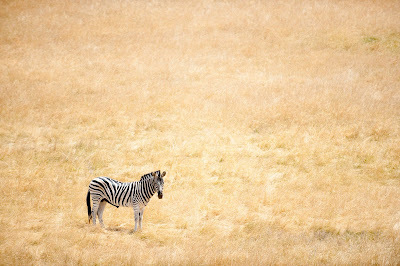 And I absolutely love, love, love the zebra photo. What fun! Fantastic photos. Happy WW! That first picture is really great, so clear and really funny! We have one of those by us, and it's really cool! no elephant though. The books you mention here are all fantastic-- I'm a huge Tana Hoban fan! We've been to one of these wildlife safari parks before, in Georgia. That was back Before Children, though. 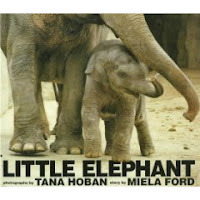 I see you got a Tana Hoban book--always a good choice! :-) I'm trying to think of books about rhinos, but I'm drawing a blank. I think we've had a fun one about hippos before (which are sweeter, somehow--must be the lack of horns), but none about rhinos. I'll keep thinking. How neat! The first picture is my favorite. It's hysterical. My son is animal obsessed, so I'll have to check out those books. Thanks! I love elephants. They are by far my favorite animal.